adliterate: Why are brand ideas so rare? Why are brand ideas so rare? 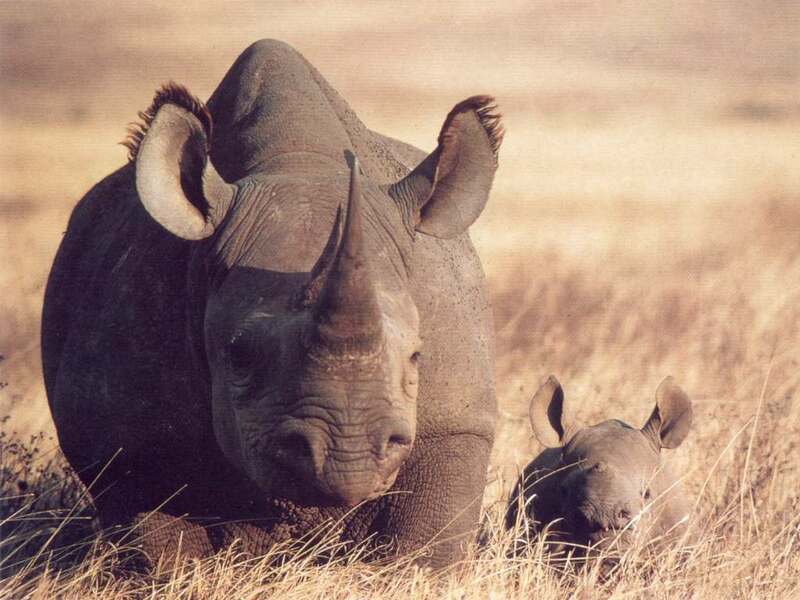 The Black Rhino (Diceros bicornis). With a population decline of 98% between 1970 and 1990 there are few animals more critically endangered than this. Of all the beasts roaming free in the world of marketing there is none so rare as the brand idea. Given that every agency is convinced they build big ideas for their clients on a daily basis, real brand ideas are surprisingly thin on the ground. Of course there are notable exceptions and many of those have been duly noted and celebrated in this forum - 'Dirt is good', 'The campaign for real beauty' and even 'Try something new today'. And our business folklore is built around ideas like 'We are number two, we try harder', 'Reassuringly expensive', 'The ultimate driving machine', 'Its good to talk', 'The fourth emergency service' and 'The power of dreams'. But by and large most brands and their agency advisers appear consummate in their ability to avoid coming up with genuine brand ideas - settling instead for advertising ideas or worse, just a one off creative idea. This wouldn't be a problem except that it leaves countless brands and businesses without any point and with no reason to exist. Whole swathes of the financial services market, the high-street and mall, online retail, automotive and fmcg are packed to the gunnels with pointless brands - simply because of a lack of intelligence and imagination. The problem, I suspect, is that no-one has the slightest idea what a proper brand idea looks like. How can you deliver the holy grail of brand marketing if you can't tell whether the ideas you have come up pass muster. That is what we are going to do in the run up to Christmas ladies and gentlemen - create a set of evaluation criteria for brand ideas. Now I am reasonably certain the whole thing will make use of the Cluetrain idea that people are no longer interested in your positioning they want to know what your position is (seems to me to be the way Dirt is goods is working'. Indeed as Hugh says - the market for something to belive in infinte. And I think generosity is going to play a part somewhere. I don't mean showing generosity to customers (though that is nice) but creating ideas that are generous to everyone that works with them. That's one of the characteristics that separates a proper brand idea from an advertising idea - it doesn't matter what discipline you represent you immediately know how to execute excellent work to 'Dirt is good'. It is generous because it allows everyone to excel. And there must be some way of evaluating potential ideas on the basis of perceived potency - though I'm not sure how to frame that yet. Do you have an idea about what makes a great brand idea? I think two things you need to have a great brand idea are, stability and longterm commitment. Clients spend 2-3 years on average in Marketing Director roles, so whoever follows often feels the need to establish themselves with a new campaign (just look at the mess P&G Tips got themselves into). I don't know the figures, but I'm prepared to bet that 'big brand ideas' existed as result of stable management, particularly in the Marketing dept. And a third would be culture lacking in fear of failure. Most agencies are full of insecure creatives who have been told they're only as good as their next ad. While the Executive Creative Directors believe they're one client review away from the sack. The need for new and different, for new and differents sake is rampant in so many creative departments. We don't see more great brand ideas because they are too risky. Someone has to agree to stick their neck out and define who they are or what they stand for. It's easier not to. Luckily, the future will demand brands take new and bold risks- like taking up a position on culture and society- see Dove. Clients will get more comfortable when they see others doing it and when they see the rewards of standing for something. However, the biggest hurdle, is short-term thinking- if people don't know what is going to happen next week, they have a hard job putting a stake in the ground for the next couple of years and beyond. The short term tenures of most CMOs means they are always searching for quick tactical fixes for the project at hand. It's a pathetic excuse, but you see it everywhere especially with tech companies. Just look at Yahoo-now there's a company in need of a big idea! Finally, if we believe in the value of big ideas- agencies need to do a better job of selling them in and helping clients understand the short term and long-term value of embracing a big idea. One area of real weakness for agencies is internal marketing- clients really want this, but few agencies know how to deliver it. One way to create a big brand idea is to see the through a black and white lense. This means that a company has to find (or make) a point of tension, of friction, inherent in the human experience that is relevant to their line of business. They then have to pick a side and work tirelessly to bring people to thaat side. stop looking for big brand ideas and understand that most consumers are looking the simplest of solutions. So firstly. Show me the problem and how this brand solves it. Secondly, and here is the clincher. Remove sales targets from the marketing function. Strip away the fiscal responsibilites of an organisation from a product. And then go through the above process again. As for knowing what a brand idea looks like... I think it's too easy for marketing directors to confuse a big branding idea overall with a big brand idea for their sector. Clearly, one isn't the same as the other. It depends on just what the brand is trying to achieve, and too many do a Little Britain, point and say 'I want that one' for a brand idea and strategy that bears NO relation to their sector. Indeed, I think the point both Simon and Edward make, that of longevity, is crucial. You can try (and fail) with concepts, but if trust is there, both agency and client will get what they are looking for. For what it's worth, I also think a great brand idea must be simultaneously capable of incredible clarity in the proposition, but be capable of a much bigger overall whole. Call it the Matryoshka principle if you will. It's perhaps even more important with so many media channels; the little parts of the campaign combine to create a much bigger whole. There are loads of brilliant big brand ideas. So many happened this year I am vaguely thinking about writing a new book, just so there can be a book out with them all in. Relatively few of them are ad ideas though. There are too many other good options. Asking why really great brand ideas are so rare is like asking why artists like Picasso or authors like Murakami or directors like George Lucas are so rare (that was fairly arbitrary choice of examples). The simple answer is that it is DAMN HARD to get a great brand idea as much as it is damn hard to be a great pianist, or author or mathematician. Thats just human nature to have great artists as well as great brands and brand ideas a rare commodity. If we could all produce great brand ideas, how can we distinguish the REAL great brand ideas? The term idea suggests that a great brand idea can be invented. I think great brand ideas emerge from great products and services and in that regard, I agree with John Grant that very few are ad ideas. Af course very few are ad ideas - that is the point - I like the phrase ideas that you can advertise not advertising ideas. So what makes a great brand idea? I like Will's idea that a great idea has incredible clarity but opens out into a much bigger territory. Clarity is key - I'd be tempted to say that the benefit of the product/service must be so apparent that it doesn't actually need advertising. Inherent in this, I think is the requirement that it enhances the user's pattern of behaviour without disrupting it. I have over the years been involved in naming projects for new offerings and the amazing reality is that very rarely does anyone think wow what a great thing. Inevitably, I'm thinking of one exception that everybody involved wants to have - but it's embargoed. Suffice to say, it further automates something we all do (it enhances a current activity), it is obvious what it does and it does it in a way that doesn't complicate the user's behaviour one iota. This is all very reductive I know - make a great product but I'm not sure that you can engender a positive emotional reaction in users these days if your product isn't great. I think if you get everyone in an organization to really believe in your big idea, your rallying cry, whatever, then all those people will probably do better work for the brand. That is, if the big idea is "good". Which then (one would hope) would result in better products/services and better performance as a company. I guess if a brand idea has the strength to climb the approval mountain, and then survive the trip back down through the company, that would make it good. Another question. Do you (by reference to the rhino) tend the think there are less great brand ideas coming out at the moment compared to five or ten years ago? I tend to think there are more. Obviously still rare, but not endangered. For instance Nike's Run London on all three counts. Why was the Nike's Run London a big idea? Why was Run London a big idea? Because a lot of people wanted to an excuse to run 10k and because Nike cemented their reputation as both a great brand for runners and a great urban brand. So what's a brand idea? A great brand idea is made up of two parts: we get/you get. It has something in it for the audience and something in it for the brand. The audience bit is big enough to capture the imagination of a lot of people. The business bit is potent enough to shift a lot of gear. A great brand idea creates debate: Just do it! Well, can you? Dirt is good! So why are you wrapping your kids in cotton wool? Campaign for Real Beauty! So aren't you beautiful the way you are? Try something new today? Are you stuck in a routine or what? The debate happens in the mind of the audience. If it is on trend then it is in the mind of a lot of people. Most brands began with ideas which is why they became brands in the first place. The idea got lost as successive MD's succumbed to 'not invented here' syndrome. IKEA is one of the great brands because they still remember the original idea: a better everyday life for the many people. They also remember to be adaptable in how they express it (so allowing space for advertising ideas) Right now: Spain = the independent republic of the home; Holland = Design Your Own Life; Finland = open up to new ideas; Belgium = Live for Now. A branded 'Fun Run' was a big brand idea then? What does that make Cancer Research's annual Run For Life? Actually, I'm confused. "Show me the problem and how the brand resolves it" is good. Nike made the "fun run" something more than a short, fancy dress marathon for church-going, charity attending types. They made it acceptable to their target audience. They reframed it. Now that is clever in a Ways of Seeing sort of way. A bit like Coke took Woodstock and rebranded it as Teach The World to Sing. So on the same token, Innocent Fruitstock...can be remembered for being a big brand idea? For me a brand idea ought to be the idea behind the brand not an idea the brand has - but maybe I am splitting hairs. Actually, that's quite good. Surely innocent itself is the big brand idea - fruitstock is part of the "generosity" in execution that Richard refers to in his article. So what is the difference between Fruitstock and Run London? In both cases, they appear to me as ideas a brand has had and are therefore not big brand ideas.. So are we critiquing business models..or communications because it doesn't seem that clear.. I'm just listening to the debate. But for me it is important that brand ideas - being the idea behind the brand - are not just about communications (though many find their most immediate expression in these materials - the Howies catalogue for instance). I am inclined to view Run London as an activity that a brand with a strong idea has created precisely because that idea is so ingrained in the organsiation. In other words Run London is not a brand idea - Jsut Do It is. Run London is one of the many Grantian molecules that surround and that idea and make it meaningful to people. Yes Fruitstock is a great idea - I'm biased because I did some work with them on the next one. It really put the brand on the map, 4 years ago. And remember that there werent as many branded music festivals then and none in London. Plus it is fairly unique in its programme; the play area, flirting tent etc. The latest one justified its cost many times over in free PR, smoothies tried, proud staff, trade customers entertained, partners given a platform. And mainly it was 'a nice day out in the park', which was the innocent people's 'objective'. Are you confusing format and idea? Guinness Book of Records was a great brand idea. However it was not the first book printed. As I understand it the original rationale for Run London is that they needed to do something about the fact that London didnt have enough serious runners (compared with New York etc.) They helped rebuild a popular running culture in in London. But lets ask Russell. personally I thought it was a very good idea, especially with all the levels of involvement. I agree on the point that strong brands are authors of numerous ideas. Its semantic whether you call Kate Moss, London fashion week, Personal Dressing etc Top Shop brand ideas or ideas from the brand known as topShop surely? Where I differ from (eg the media agency current view) is that one big idea should be applied in lots of channels. Lots of good ideas that relate to some overal project do it for me. TopShop is bringing the high fashion experience to the high street. They do that in lots of ways. If brand idea means idea about the brand, then you are heading for Lovemarks territory? Even if you make something loveable like innocent its a bit narcissistic/ungenerous/dull...? For me Brand Ideas need to be about ideals. In the US Lexus has spent the last 15 years signing off it's advertising with 'The (Relentless) Pursuit of Perfection', but the ideal that powers the brand is Constant Improvement. In contrast, 'The Ultimate Driving Machine' is built on the ideal of 'Winning Performance'. The problem for Lexus (the brand, not the car) is that Winning always trumps Improvement. My favorite 'ideal behind a brand' is Jonhson's Baby Powder - the application of a mother's love to her baby'. No other talcum powder comes close to this. thanks for the clearing up their. I guess for me it continues to be google purely because their BETA projects all make sense and seem to capture a undercurrent at just the right time..
Hmmm...if a brand is an idea, then is it must be possible to to have a brand idea without worrying first about the products and services that will manifest it? i.e Come up with a brand purpose (revealed by an insight or core need) to exist on behalf of people and then find the best ways of delivering this? So maybe the question to ask to test its strength, then becomes...what does the world miss if my brand idea did not exist? The brand then gets created by the relationship value that people, attracted by the idea, have with the products, services, experiences that the brand sets up to convey and meet its purpose. I can't believe no-one has said the MOST important criteria yet! The idea has to be TRUE! If it's not true, then people will eventually work out or be told that they've been lied to and then they will eventually come to hate your brand AND the advertising behind it. Let's all stop prattling on about fun runs and polar bears, and start REALLY talking about big ideas. At the moment, I've only got small ones but I'll DEFINITELY post up a big one as soon as I've got it. I wonder if the dearth in big brand ideas is down in no small part to the amount of companies that just dont understand their own brand or how it connects with the consumer. Mr Mortimer you have just hit the nail on the head. By the way can we stop eulogising about brands that are successful in part because they are...FREE - google, you tube and flickr. I'm sure every driver in Briatin would be a member of the AA if it was free. What does Rob have to do to get a bloody job? Someone please employ him. Two more things to add. Like the concept of a brand ideal - makes it clearer that it is the idea behind the brand. And of course it is right that if a brand ideal can exist (or rather can be created) in the absence of a product. In fact what we know is that the prodcuts are better if there is an ideal or and idea up front. if were google were a paid for service I doubt it there would be any difference. That fact that it is free barely makes a difference since most search engines are free and yet Google has monopolized search. And since most consumers lack the basic understanding to evaluate search engines on tehcnical ability/innovation why do they prefer google? They must be making the distinction on another level. Thank god for that, I wasnt sure if I was right or simply stating the obvious! Google worked so perfectly because it gave consumers exactly what they wanted. Quick effective searches when the net was slow and mind boggling; when even search engines were 100 link minefields. Once they had the people, they went and said "Hi companies, we have your customers here, how much for them?"